It’s abusive if your partner criticizes things you say, how you do things, or what you look like. That may sound obvious, but if he’s disguising it as humor, it’s harder to recognize—and to stop. If you do rebut his comments, he’ll probably tell you that you’re too sensitive or have no sense of humor. But it’s not funny if your feelings are hurt. If he hits on something you already feel insecure about, you may just think he’s being honest. Don’t rationalize it by assuming he’s trying to help you. Did you ask for his help? Or for his opinion? Then he shouldn’t give it! Don’t allow him to put you down for anything or in any way. He should make you feel valued, not demeaned. A person who criticizes is looking for perfection. No matter how hard you try, you’ll never be good enough, because it is impossible to be perfect. If there is something he thinks he could help you do better, he should ask for your permission to make a gentle suggestion. In doing so, it’s much nicer if he compliments the things you do well first. But watch out for backhanded compliments that ultimately insult you, such as, “You look good for someone who never works out”—that’s passive aggressive. It’s hard to admit that someone you love isn’t good for you. Friends and family may try to tell you what they see, but until you are ready to hear who your mate truly is, you will keep doing what you want. Write a list of pros and cons. Your biggest pro is probably that you love him (or her). But is your cons list two pages longer than your pros list? 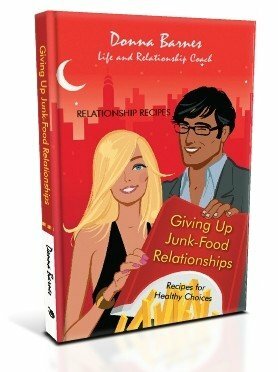 You’ll find an extended checklist of behaviors to recognize as abuse in Chapter 6 of my book Giving Up Junk-Food Relationships. I titled it Food Poisoning because relationships can be toxic just like food. I am here for you, I have been there and I completely understand. I’ll be happy to help you, or someone you love, recognize the truth about a relationship, contact me now. Don’t be embarrassed; it is not your fault. Abusive relationships badly damage self-esteem. People who love you will understand and want to help. Stay strong and believe you deserve better. It may be difficult to walk away from him, but I promise your life will get so much better when he is out of your life. Decide if your relationship is abusive. The way you feel is your best indicator of abuse. Love is not supposed to hurt. If you do not feel loved and positively supported, your relationship is not good enough for you. If you are in an abusive relationship, get out now! Put yourself first. Tell friends and family members what is happening. It is not your fault! You will find a better relationship if you leave this one. Don’t isolate yourself. Surround yourself with supportive friends and family. Find a support group. Think for yourself. Don’t let anyone tell you that your opinions are wrong, invalid, or unimportant. Trust your instincts. If anything doesn’t feel right, assume it’s not. Don’t rationalize away bad behavior. Enforce healthy boundaries. Fool me once, shame on you; fool me twice, shame on me. Once someone has shown you who he or she is, accept it. He or she will not change. Do not try to change an addict. Addicts can only be helped if they want to change for themselves. Trying to help an addict who doesn’t want help is like banging your head against a wall. Stop! You cannot control them. Put yourself first. Nurture your self-esteem. Abuse beats down your self-esteem. If you are in any kind of abusive relationship, even if your partner hasn’t physically hurt you but is verbally and emotionally abusive, the National Domestic Violence Hotline can help you. Visit their website to learn about all they have to offer. http://www.thehotline.org or call 1-800-799-SAFE. 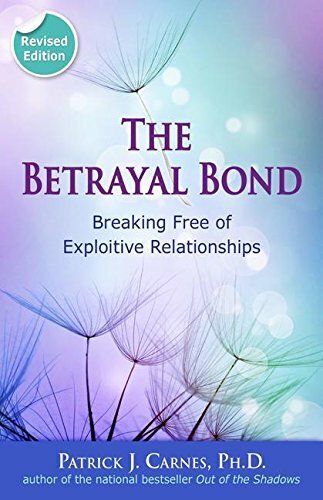 The Betrayal Bond: Breaking Free of Exploitive Relationships by Patrick Carnes Ph.D. is a must read to help you heal, get out of, and avoid ever again falling into a toxic relationship.